Welcome to my website. This website with URL address rosemcrompton.com is owned and operated by Rose Crompton Content Marketer & Copywriter, ABN 39 629 344 372. The terms ‘us’ or ‘our’ or ‘we’ refers to Rose Crompton Content Marketer & Copywriter, the owner of the website, whose registered office is in Queensland, Australia. The term ‘you’ or ‘your’ refers to the website user. Things that never change get boring and become useless, which is why from time-to-time these terms may undergo a revamp. Check this page regularly to make sure you’re aware of any changes before using our site. Your peace of mind will thank you for it. Content marketing and copywriting services for businesses. Articles and information about content marketing and copywriting via blogs and emails. all services and products provided through this website. If you don’t agree with any of these terms and conditions, it’s best to stop using our site immediately. No hard feelings, we’ll just say bye for now. When you visit this website and use our services to purchase our products, you agree that you’ve read these Terms and all related documents, and that you’re willing to be bound by them. The content of this website is for your general information and use only. It’s subject to change without prior notice. We may update our terms and conditions from time-to-time and the new provisions will apply from the date they are updated. Whilst every care is taken, Rose Crompton Content Marketer & Copywriter doesn’t provide any warranty or guarantee as to the performance, accuracy, timeliness, completeness or suitability of the information and materials found or offered on this website for any particular purpose. The information available through this website, our blog articles and emails are provided for your general business interest — they inform you about our services, help spark ideas, and sometimes are for pure entertainment purposes only. Using the information found on rosemcrompton.com — including any third party content, links, comments or advertisements — is done so at your own risk. We can’t guarantee any particular results because there are too many factors beyond our control. In short, you’re solely responsible for any outcomes you obtain because you used the information on this website, in our blog articles, or in our emails. Rose Crompton Content Marketer & Copywriter owns the intellectual property rights in all of the content of this website or has permission to use or display the material on this website. And hey, I like to play nice, so if you do require permission to reproduce any of the contents of this website, it’s as simple as emailing rosemcrompton@gmail.com and asking. Images and product descriptions posted or referenced on this website by third parties are the responsibility of those third parties and may be subject to copyright. Except as otherwise expressly granted to you in writing, we don’t grant you any other express or implied right or license to our website content or our intellectual property. use data collected from the website for any direct marketing activity (including without limitation email marketing, social media marketing, online marketing, SMS marketing, telemarketing, and direct mailing). We have no control over the nature, content and availability of those websites. Rose Crompton Content Marketer & Copywriter makes every effort to maintain the security of the Rose Crompton Content Marketer & Copywriter website. However, we do not guarantee the security of the website, our records, or your content. Rose Crompton Content Marketer & Copywriter disclaims all liability for any computer virus or technological problems that we do not intentionally cause or that is beyond our control. You are advised to install and maintain up-to-date security software on your computer for your further protection. The Rose Crompton Content Marketer & Copywriter website is managed by third-party services; therefore, the website may be inaccessible from time to time. Rose Crompton Content Marketer & Copywriter will not be liable to you or any other person or entity for any damages whatsoever arising as a result of your use of this website in any way, subject to the requirements of Australian Consumer Law. This agreement is governed by the laws of the Queensland (QLD), Australia and you consent to the exclusive jurisdiction and venue of courts within the QLD jurisdiction, in all disputes arising out of or relating to the use of this website. You may provide notice to us through the contact us page or otherwise by email addressed rosemcrompton@gmail.com . 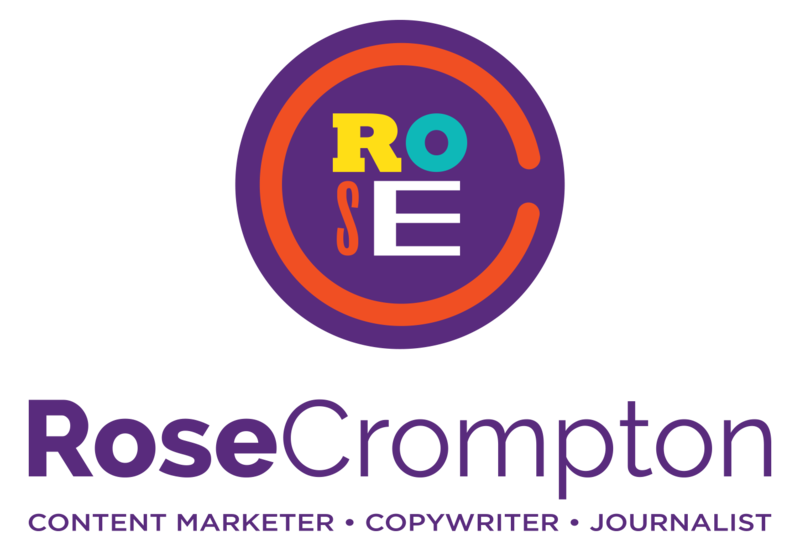 Rose Crompton Content Marketer & Copywriter may provide notice to you via email or other electronic means. You agree that no joint venture, partnership, employment, or agency relationship exists between you and Rose Crompton Content Marketer & Copywriter as a result of this Agreement or use of this website. If you have any questions, please email rosemcrompton@gmail.com . We try to respond to all messages within three business days. Terms up to date as of 26 January, 2019.